Three quarters of the world’s population has no access to the most simple dental pain relief, leaving billions to face a daily battle with pain in the toughest of life circumstances. 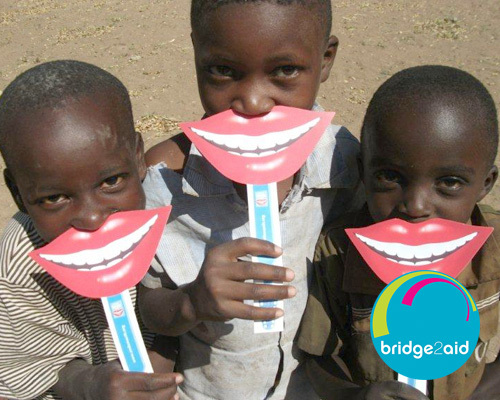 Bridge2Aid is a charity working to address this terrifying problem, and at John Miller Dental Practice we support their cause. In Tanzania access to any dental care is very limited, which leads to most of the population at some point suffering from toothache. Usually they are unable to obtain treatment, or at best, they receive treatment from an untrained person. John Miller has been working and supporting Bridge2Aid for many years and has taken part in five training visits to Tanzania to teach clinical officers in rural clinics how to safely treat infections and remove teeth. On three of his visits he has led a team of 7 dentists and 4 nurses in the districts around Mwanza, south of Lake Victoria, where around 600 people have been seen and around 1000 teeth extracted. Over the last 10 years, 350 Tanzanian clinical officers have been trained, giving over 3 million people access to emergency dental care in the form of extractions. 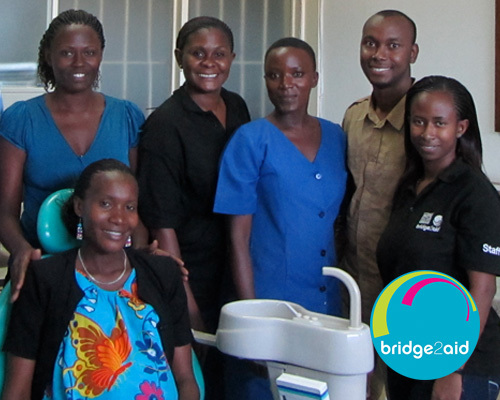 Bridge2Aid is now in its second phase, training clinical officers to lead their own teaching groups. This is already proving to be very effective and will enable even quicker access to dental pain relief.